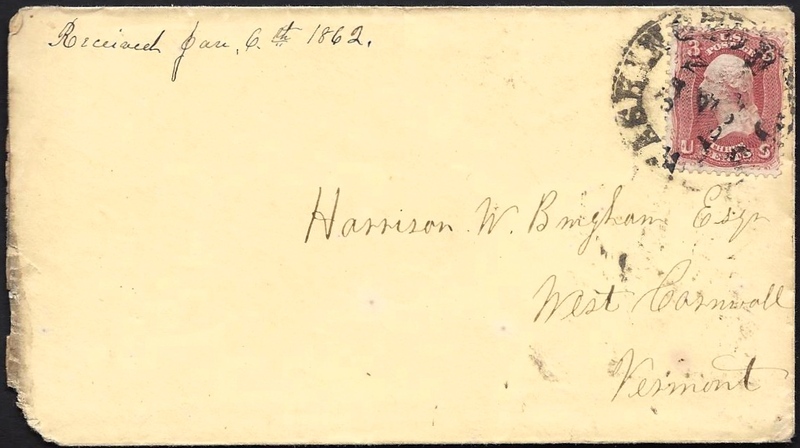 Linus addressed the letter to his cousin, William Harrison Bingham, who was born in Cornwall, Vermont, on 9 January 1843. He was a son of Harris Bingham (1806-1884) and Lucy Ann Warner (1805-1847). Harrison Bingham received his education in the common and select schools. 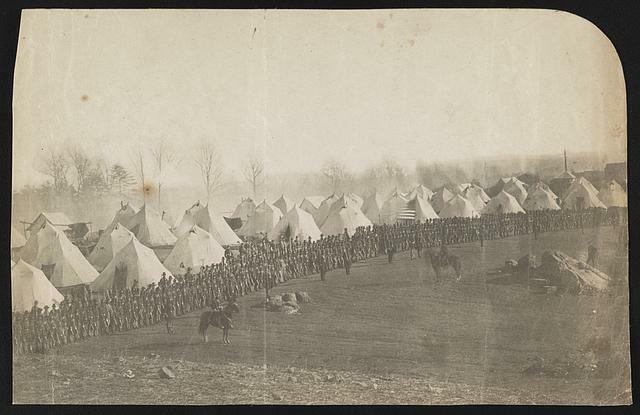 He enlisted on August 30, 1862, in Co D, 14th Vermont Infantry, and participated in the battle of Gettysburg. 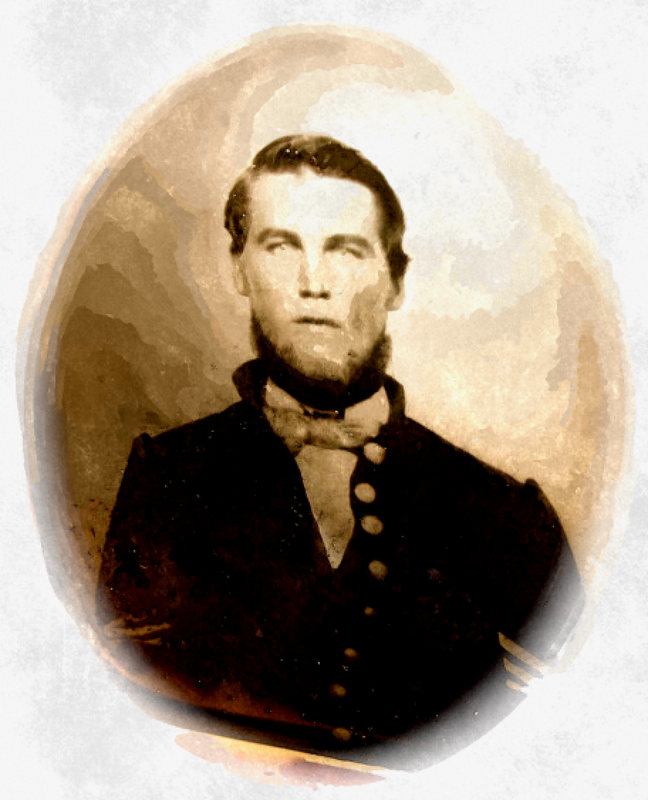 His term of enlistment expired on July 21, and he was mustered out on July 30, 1863, at Brattleboro, Vt., after which he returned to civil life and resumed his farm work on his former place. He was married on June 16, 1868, to Mary L. Cook, a daughter of Major G. V. Cook, of New Haven, Vt. They have had two children born to them — Anna M. and Eugene C. Mr. Bingham’s farm now consists of 335 acres, and is stocked with registered Merino sheep. He has been justice of the peace, selectman, treasurer, represented his town in 1880, and is now town treasurer and justice of the peace. Your letter of Christmas Day came to hand last night. I was very glad to hear from you. I little thought one year ago that I should be a soldier boy down in Old Virginia. Oh dear, I have got to stop and eat dinner. Perhaps you would like to know what I had for dinner.. It was rather extra — beans boiled with pork. We call them very good but if I was at home I would not eat them. I eat a great many things here that if I was at home I would not think it was hardly fit to give to the hogs. But I have lived on such studd so long that I don’t know how I should act to sit down to a good meal of victuals three times a day. Our principal food is beef and bread. We don’t have any plates to eat on but take it in our fingers and eat it. Once in a while we have potatoes. Then we have a feast. If you should come here now and live as we do you would think it was pretty tough. But we get used to it so we don’t mind much about it. I should like to have you and Henry Peck here with us. We have got a first rate lot of boys in our tent. They are just our sort of boys. Well, I have got to stop writing for the present for the drum is beating for Battalion Drill and I suppose I shall have to go. We worked all last week fixing the ground for a new camp. We got it fixed so that we moved Saturday. The ground is not more than half fixed yet but in the course of a week or two we shall get things fixed up in shape. We have raised our tent up about three feet from the ground. We went into the woods and cut an oak that was straight grained and split out staves and set them firmly in the ground and put our tent on top of them. You can’t think how much room it makes for us. We have got some nice beds and we sleep as nice as can be. How I should like to have you step into the tent some night after we have eaten our supper and have seated ourselves for an evening chat. You would think that we are as comfortable as soldiers can be. Perhaps you think it is pretty rough but I have not had my clothes off but once except to wash them since I got them. But I sleep as well as I ever did at home in a good feather bed. This afternoon on Battalion Drill, it was as dusty as you ever saw it in June and warm as September. I don’t believe it is as warm up in Vermont. I have told you something how it is situated. It is in a pine woods. We only cut the trees where we wanted to set our tents. It is on the south side of a hill. The reason we moved was to get a warmer place. Our old camp was on the top of a hill where the north wind had a fair chance at us. It used to blow so sometimes that we could not hardly stand up. I am not sure but you will have a chance to go to war without coming down here. If England declares war against us, I think that the Vermont boys that are left will have to enlist or be drafted to protect the frontier. It is getting late and I must close. Give my love to all.